In compliance with federal regulations, South Texas College (STC) provides this written statement that describes our effort in protecting the privacy of students in distance education courses or programs. In addition to the information provided below regarding the terms of privacy for the learning management system platform, our Legal Notices and Guidelines for Acceptable Use of Information Resources provide relevant information on protecting the privacy of all college students including those enrolled in distance education courses and programs. Audit as required to protect the reasonable interests of the College and other uses of the computer system. 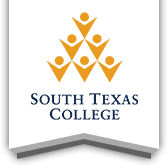 As part of the South Texas College’s one username one password policy, users of South Texas College’s learning management system are assigned a unique login name and password to access this resource. Faculty, staff, and students are required to protect and maintain the confidentiality of their passwords. Unauthorized access to electronic services may result in risk or liability for the user and/or the system. South Texas College complies with the provisions of the Family Educational Rights and Privacy Act (FERPA) of 1974 as amended. FERPA sets forth the requirements pertaining to the privacy of student records, and the rights of students with respect to their education records. Faculty cannot post any personally identifiable information about a student to public websites (i.e. websites where the information may be visible to people outside of a course), or require a student to post personally identifiable information to any such websites, without first obtaining written consent from the student. In addition to the measures taken by South Texas College, students are strongly encouraged to take measures to protect their privacy online. These measures include, but are not limited to, avoiding saving passwords which might be easily viewable by subsequent users and clearing the browser cache when a computing session is complete, when using public computers. Support requests for Blackboard are available by contacting the Distance Learning Department @ (956) 872-2598 or via email support@southtexascollege.edu. These support requests and the replies may be kept and reviewed to help ensure the relevance of information presented on this Web site and the usefulness of the replies from the support personnel. More detailed data are collected about students and instructors who log in to Blackboard courses. System administrators and instructors are able to create reports of student access showing when access occurs, frequency in a given period, activity performed, and the duration of activity. Student access to Blackboard courses is disabled by the system administrators after the semester is over. Instructors also have the capability of disabling their courses. Courses are kept on the server for one or more years and are available to the instructor of the course, support staff, and system administrators. These archives contain all instructor and student-generated data, except for messages and unrecorded chat sessions. The archives will be kept on South Texas College’s storage area network and will be accessed only in the event of a request from the instructor of that course or governing body of the College, in the course of diagnosing a technical difficulty, or in the case of an alleged violation of state or federal laws. The U.S. Department of Education requires that students complete academic activities before they may be counted in attendance at any time during the semester. The U.S. Department of Education will not accept the simple act of logging into the college’s learning management system as proof of attendance at any time during the semester. Students must complete an academic activity to be counted as attending. For this reason, faculty members are required to include an academic activity for students to complete early in the semester. Completion of this activity will be used to verify students’ attendance and participation in the course.